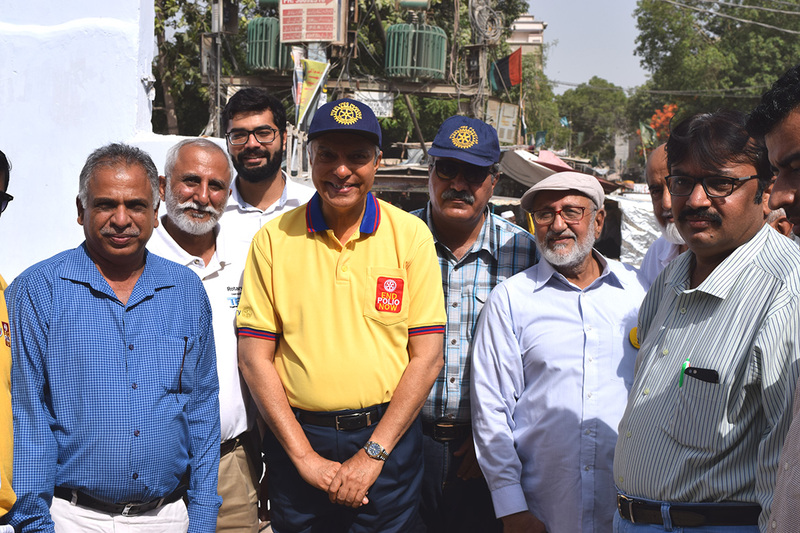 In Karachi, Pakistan, Rotary PolioPlus activities are building community trust. Karachi, the capital of Sindh province, is Pakistan’s largest city, with an estimated population of more than 16 million people. It is also by far the most challenging place in Pakistan to eradicate polio. Difficulties include the large and frequent movement of people, poor water and sanitation conditions, and pockets of community resistance to vaccination. 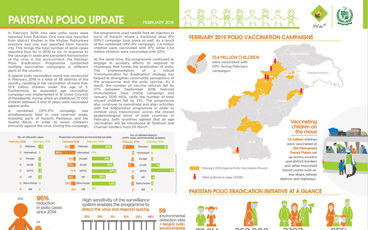 In 2017, two of Pakistan’s eight total cases of polio were located in Karachi, and multiple environmental samples continue to test positive for the virus. In the northwestern part of the city lies Orangi Town. The fifth largest slum in the world today, it is a tough place to live for the children who run around and play games in the streets outside their homes. One of their most pressing needs is a supply of clean, drinkable water. In Orangi Town, the sewage system is basic, and poorly maintained. At many points, human waste mixes with drinking water lines. The quality of potable water is low and filled with pathogens including bacteria and viruses, and it is the main cause of many water-borne illnesses in adults and children, including hepatitis A, acute watery diarrhea and typhoid. 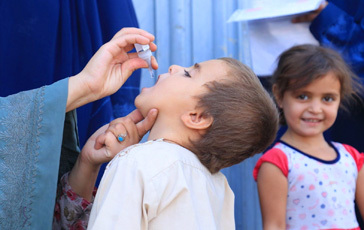 Polio can also be spread through drinking water contaminated with the stools of an infected person. 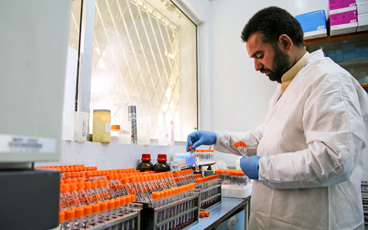 Health workers for the polio eradication programme work tirelessly to immunize every child. But there are other ways to reduce the spread of the virus – and provision of uncontaminated drinking water is one of them. Thanks to the efforts of Rotarians, who raised 50% of funds, 55 000 residents of Orangi now have access to a new water filtration plant. By ensuing that there are no viruses or bacteria present in the water, the plant will protect children from water-borne illness. As the plant runs using solar energy, it will work consistently through the regular power outages that affect the city, and won’t require expensive oil or electricity to run, placing fresh water within the reach of all. Dr Shafiq, a representative of Orangi Town, thanked Rotary International for its continuous support of polio eradication in the area. Combined with vaccination activities, children drinking the clean water provided by the new plant will now have an improved chance to grow up polio-free. 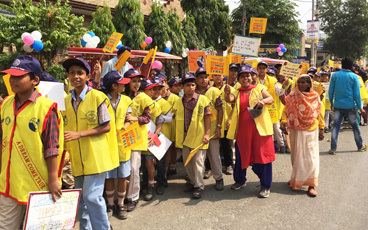 These extra steps towards ensuring that children are safe from disease also help to gain community trust, and form part of Rotary’s work to raise awareness of polio, and overcome vaccine hesitancy. 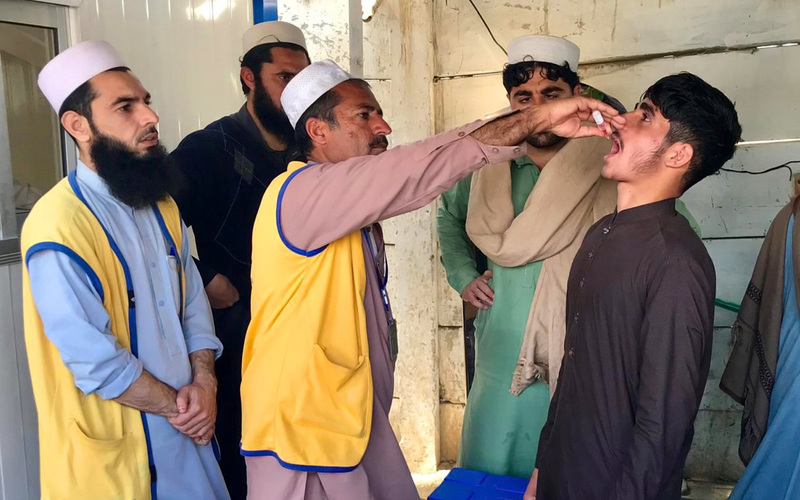 In 2016, Rotary International contributed over US$ 106 million to polio eradication worldwide, and in Pakistan, Rotarians are at the forefront of the fight against the virus. By chance, the opening ceremony of the plant coincided with the second day of this month’s subnational immunization days, when over 20 million children across different parts of the country were targeted with oral polio drops. Emphasizing the link between safer water, and polio eradication, children were given polio vaccine by high profile individuals attending the event. Kicking off a safer future for some of Orangi’s children, Mr Memon and Rotary District Governor Ovais Kohari pushed a button at the plant to allow clear, safe water to flow from the taps. They then had a drink of water to test the quality and taste. Simultaneously, polio vaccinators were going from house to house all over the city. For some families, Rotary was providing two life changing interventions in just one day – an effective vaccine, and water that they could finally trust.